Trespass America Festival has added more dates onto the routing and the new information can be found here on Under The Gun Review! This tour will feature Five Finger Death Punch, Killswitch Engage, Pop Evil, Trivium, Emmure, God Forbid and Battlecross. Head through to view the entire itinerary and let us know if you plan on attending a date on this enormous run. 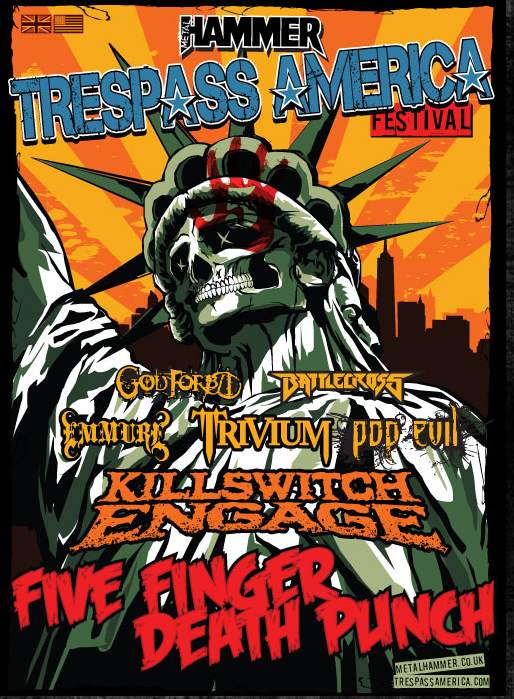 Tickets for the Trespass America Festival can be picked up by simply heading to the official website.